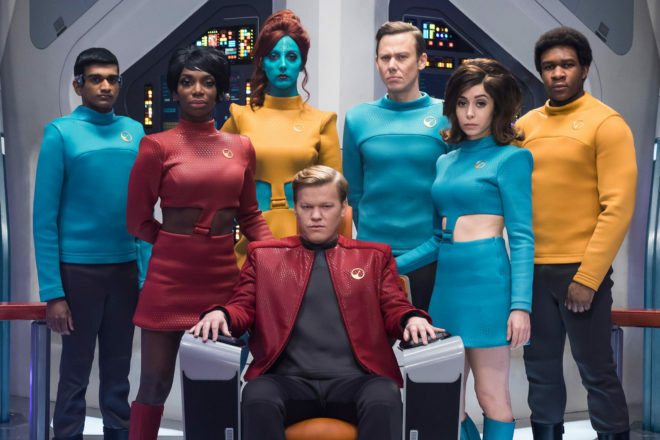 The Crew of Brokebot Mountain returns to the Black Mirror well by jumping into the Season 4 premiere episode: USS Callister. We take a look at the ethics of making digital clones of real people, what paradigms allow people to have control over others, and why Jesse Plemons really earned his nickname of “Meth Damon”. All this and more on this episode of Brokebot Mountain! A woman wakes up on a Star Trek-esque ship where the crew praise their all knowing and fearless (and batshit crazy) captain.